Actually, aquaculture is done from ancient times. 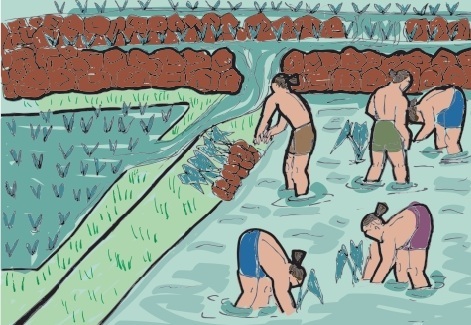 Since 2000 BC and Tang Dynasty in China about the 5th century BC became a milestone for the development of aquaculture. Aquaculture continues to grow and spread to Japan, Europe, America, Australia and Asia. In this 21st century, of course, aquaculture much more developed and technology used is far more sophisticated. Now, we may wonder, what are the commodities included in aquaculture. The numbers are quite a lot, however, the commodities that we commonly know such as shrimps, groupers, nile tilapia, common carp, barramundi, pangas cat fish, cat fish, giant gouramy, mud crab, shells, and seaweeds. Today, aquaculture production accounts for over a quarter of total world fish production. Taking into consideration of total production, numbers of employment and income, thus making aquaculture is an important contributor to food security.